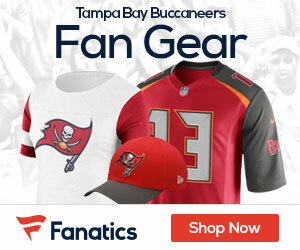 Buccaneers Gab - The Definitive Tampa Bay Buccaneers Blog! The 2019 NFL Schedule is out – and Bucs fans you can start to look at what trips you want to take and days off as well! Here it is – the complete 2019 Bucs slate! Perriman was basically nowhere when the Browns inked him to a deal on October 13th, as he was a free agent sitting out a few weeks into the year, and the Browns needed some help at the receiver spot with the team making a deal with the New England Patriots for the services of Josh Gordon. Instead Perriman played well, so well in fact that he worked his way into the long term picture for the Browns until they made the deal to get Beckham, and then everything at that point was basically off the table. Expectations were low. Perriman, 25, was the No. 26 overall pick in the 2015 draft by the Baltimore Ravens, but he was released in September after training camp. He briefly signed with Washington, but again was released amid his reputation for dropping passes. 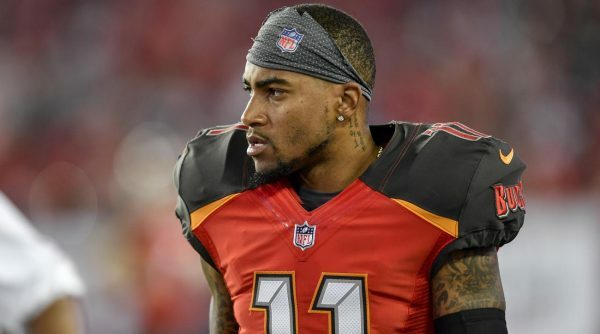 The Buccaneers are sending wide out DeSean Jackson back to where his career began, as they are trading him to the Philadelphia Eagles. Reports from NFL.com state that the Bucs are moving Jackson and a 2020 seventh-round pick to the Eagles for a 2019 sixth-round pick. Jackson, who had one year remaining on his contract, took to social media earlier Monday to say farewell to Buccaneers fans, offering a hint that something was in the works behind the scenes. The Tampa Bay Buccaneers agreed to trade Jackson and a 2020 seventh-round pick to the Philadelphia Eagles for a 2019 sixth-round pick, NFL Network’s Mike Garafolo and Ian Rapoport reported Monday, via sources informed of the situation. The Bucs were not very good in the NFC last season after a solid start to the season, but many think that they will once again be able to make their way back to the top of the list in 2019. 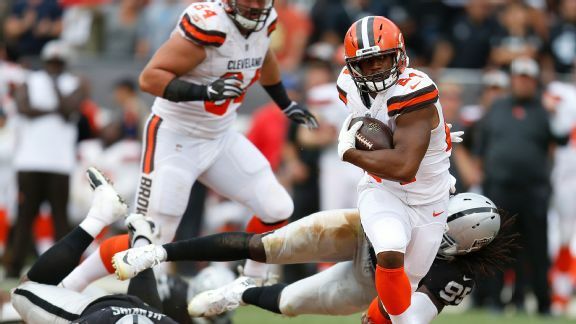 NumberFire today came out with an interesting piece entitled “3 Value Bets to Win Super Bowl LIV,” and along with the Colts and Browns, the Bucs are on the list. Here’s what they had to say about Tampa and their chances to win the big game next year. The Tampa Bay Buccaneers’ 2018 season was an utter disappointment, as were many of the seasons under then-coach Dirk Koetter. Koetter was shown the door, and fresh out of retirement the Bucs hired offensive guru Bruce Arians. In his first head coaching job, Arians took the Arizona Cardinals to three straight playoffs from 2013 to 2015 and he will look to do so in Tampa in 2019. Arians was able to resurrect Carson Palmer in Arizona, and will aim to do similar things with Jameis Winston. Winston has struggled with turnovers in his young career (58 interceptions in 56 games). Palmer was very much turnover-prone; before playing for Arians he had a 1.45 touchdown-to-interception ratio, but under Arians that turned into 1.84. The play on the Buccaneers’ super bowl odds is really just a bet on the talent level and the addition of a proven head coach in Arians. The offense that the Bucs put on the field week in and week out is arguably one of the most skilled and talented groups across the NFL. It just didn’t seem like Koetter was able to get the most of the young talent. In the past, Arians got a 1,000-yard and 10-touchdown season out of John Brown in 2015, and helped David Johnson have arguably one of the greatest statistical running back seasons (2,118 rushing and receiving yards & 20 touchdowns) in 2016. One of the biggest questions will be who will play that Johnson role for Tampa? It might be a position they have to address in the offseason because currently the roster lacks a guy who can excel in both the run and pass game out of the backfield. As for the defense, it actually showed some signs of improvement over the last six games of the 2018 season. Over that span, they allowed opponents to score 22.5 points per game and had 11 takeaways. That is something that they could potentially build off of heading into 2019. Having finished 2018 with a 5-11 record, the Bucs will be picking fifth in the 2019 NFL draft and should draw a weaker schedule. In terms of the NFC South division, Drew Brees will be another year older and there is plenty of question marks surrounding Cam Newton and his injured shoulder. And as for the Atlanta Falcons, they have been very up and down in the Dan Quinn era, failing to capitalize on the talent of guys like Matt Ryan and Julio Jones. Look for the Bucs to be rejuvenated heading into next season, and with all of the talent on the offense side of the ball paired with a proven offensive wizard at head coach the 60/1 odds seem like a nice longshot to take a chance on. 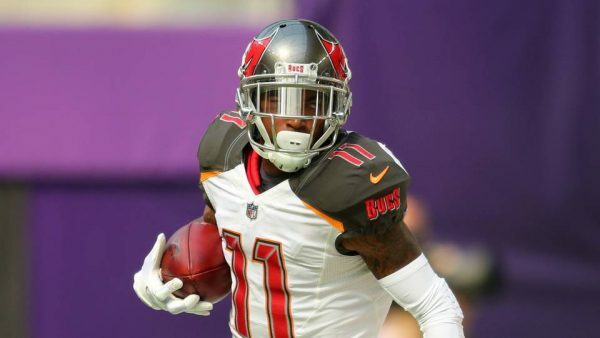 There’s been no chatter as of yet between new Bucs coach Bruce Arians and wide out DeSean Jackson, as TMZ Sports reports that Jackson doesn’t know what is going to come of him with a new regime coming to Tampa. DeSean Jackson says he has yet to talk with new Bucs coach Bruce Arians … and tells TMZ Sports he has no idea where he’ll play next season. 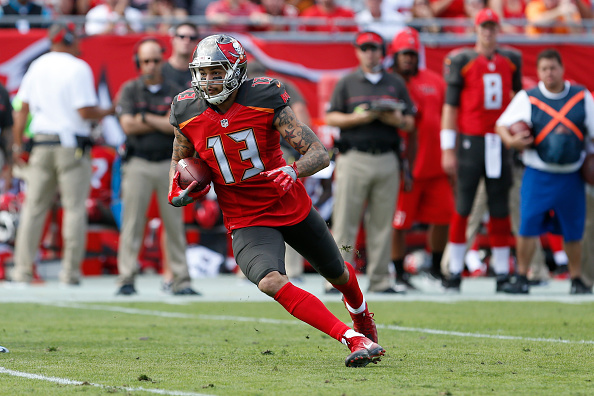 The Tampa wideout was reportedly disgruntled with his role on Dirk Koetter’s team throughout this past season … and even reportedly requested a trade. But … per NFL Network’s Ian Rapoport — Arians wants to keep D-Jax on the team — and is trying to get in touch with him. Jackson says that conversation has yet to go down … and when we asked about his football future at LAX — Jackson wasn’t so sure about a return to Florida in 2019. Jackson does have one year left on his deal in Tampa … but the Bucs can cut him this offseason without any salary cap ramifications. Could that mean DeSean plays somewhere else in 2019?? “We’ll see,” he tells us. 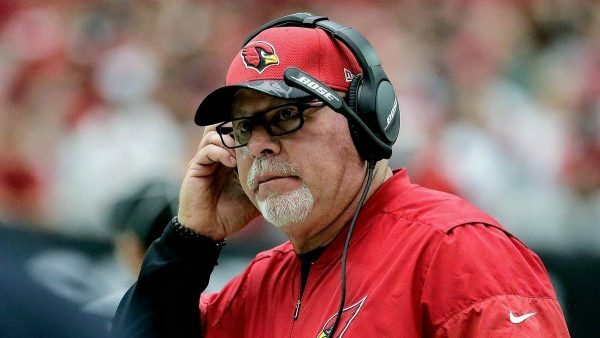 It sounds like the Buccaneers have got their sights set on a new head coach, as reports from Ian Rapoport say that the team wants to hire former Cardinals head coach Bruce Arians to lead the team. Sources: The #Bucs are focusing on hiring former #AZCardinals coach Bruce Arians as their new coach and the strong interest is mutual. Negotiations are likely to begin soon. Here we go. The team gave Arians a physical when they met with him, and his physical condition is of concern, but the team will make sure that he’s healthy before turning the team over to him. Via JoeBucsFan.com, Jay Glazer of FOX explained on Colin Cowherd’s radio/TV show that the Arians interview included a trip to a local hospital. Glazer explained that he’s heard of no team taking that kind of precautionary step regarding a candidate for a head-coaching job. It’s justified in this specific case. 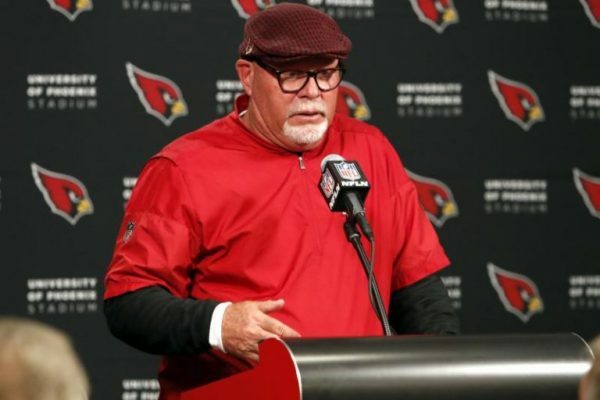 Arians, 66, has had several health issues over the years, included a bout with prostate cancer and a 2016 case of kidney cancer. One of the most popular coaching candidates on the market was in Tampa on Saturday chatting with the Buccaneers about their opening at the head coaching position. That candidates is Bruce Arians a coach who many Bucs fans seem to feel would be a great fit for the franchise, and the 66-year-old has said that the Bucs along with Cleveland are the only two spots he’d have interest in coming out of retirement for. It’s not known if the Bucs made Arians a formal offer, or if one if coming in the near future. 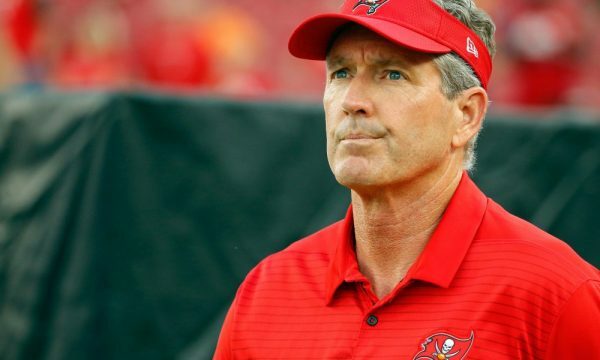 The Buccaneers made the first official firing of the offseason, as following their final game Sunday against the Atlanta Falcons, they fired head coach Dirk Koetter. The Buccaneers canned Koetter after the team failed to make the playoffs for the 11th straight season, this despite the trying to stockpile talent over the past few seasons. “We sincerely appreciate the hard work and commitment shown by Dirk over the past several years,” Buccaneers owner Joel Glazer said in a statement. Koetter leaves Tampa with a 19-29 career record in the wake of a 5-11 campaign for the Buccaneers. Last year, he went 5-11 with the team but managed to keep his position.